12 digital C-prints (6 shown in the exhibition) in Ikea frames without glass. Image size: 9 x 9 cm [3 1/2" x 3 1/2"], frames size: 25 x 25 x 4.5 cm [9 7/8 x 9 7/8 x 1 3/4 in.]. 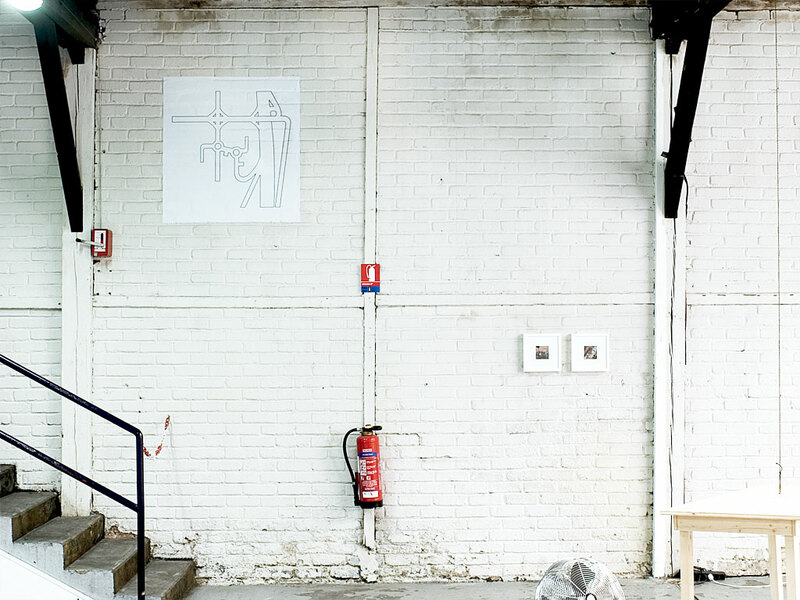 The series “Photographies” (Photographs), was shown together with “Plans.” Like the series “Maps,” the title is translated according to the location of its exhibition. 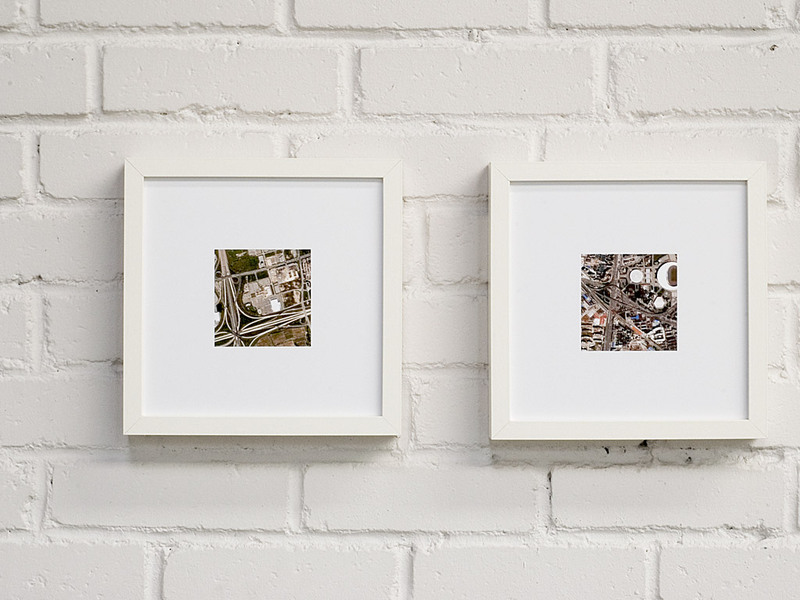 Also like “Maps,” it represents areas surrounding Ikea outlets in different places throughout the world, but using a different method: these photographs were taken with Google Earth. 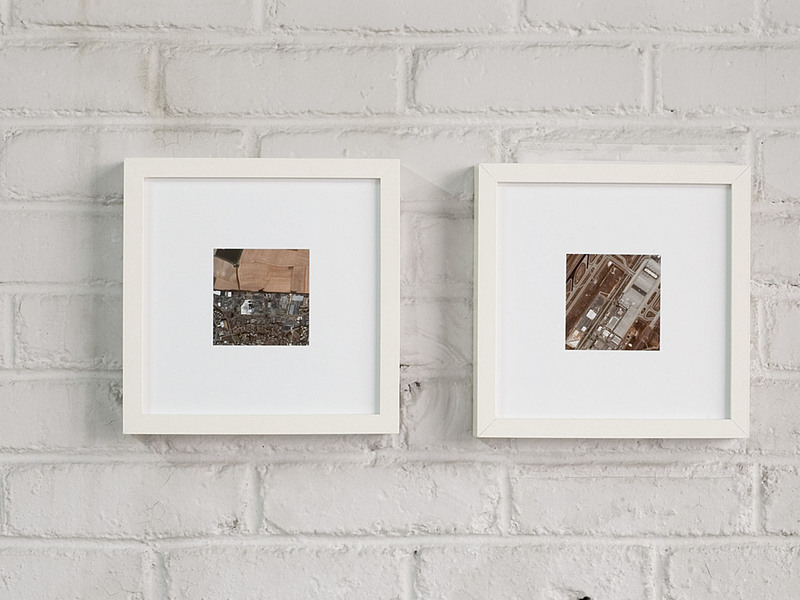 Framed in Ikea frames, these photographs were dispersed throughout the exhibition space in pairs. 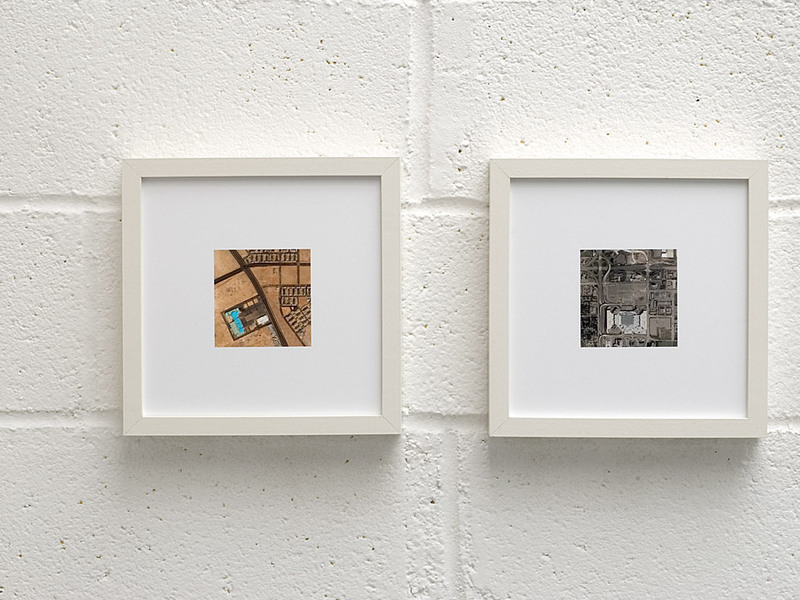 The series “Photographs” and “Maps” scope out two different ways in which geographical sites are commonly represented today. Instead of surmising the predominance of globalization, these pictures show that the standardized continues to intersect with the specific.